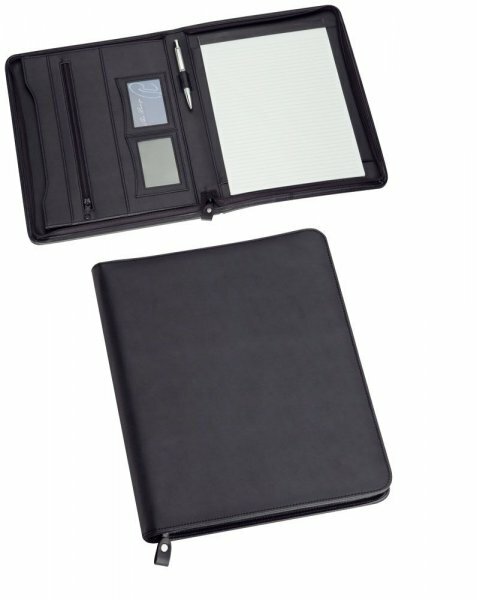 Features :Features zippered closure, internal gusseted pocket, internal zippered pocket, business card holders, pen loop and lined pad which inserts from the top. Pen not included. Check out our Tablet Compatibility chart to see which tablets fit in the product.